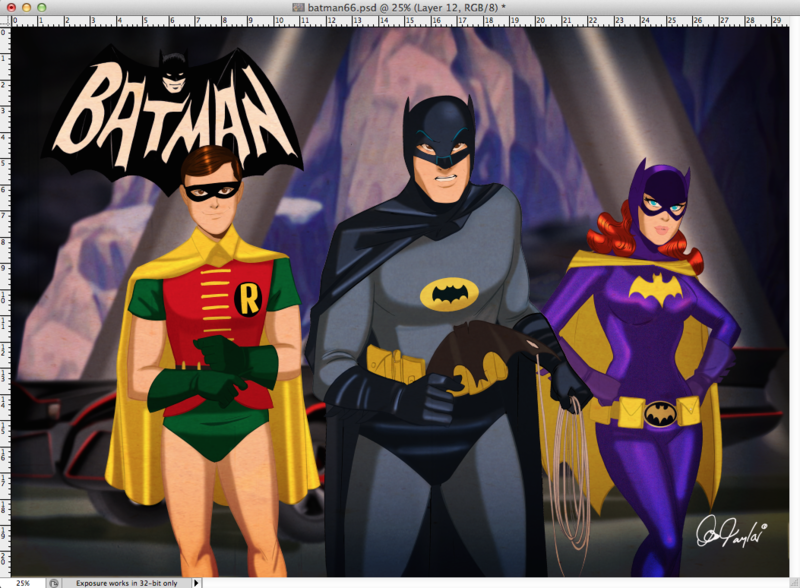 EXCLUSIVE: Des Taylor’s BATMAN ’66 Tribute is KAPOW! Home » BATMAN'S HOT-LINE » EXCLUSIVE: Des Taylor’s BATMAN ’66 Tribute is KAPOW! For the first time ever, I commissioned a piece of art. And I love it. Here’s the story behind it. I’m a man of simple tastes. Give me a good comic book and a Diet Dr. Pepper and I’m pretty well set. But, over the last year or so, in my travels through the Internet and comics shows — like this week’s NEW YORK COMIC FEST — I’ve gotten an itch. An itch for a piece of comics art to call my own, something I could proudly frame on my wall. I have a lot of favorite artists. I’ve featured many of them here at 13th Dimension. But there’s just something about British artist Des Taylor’s work that speaks to me. Every illustration of his I see is like an animation cel from a cartoon I wish existed. So when all was said and done, after I did a feature on him and chatted with him a bit cybernetically, I realized he was the one. He set the price, I met it. All I told him was I wanted Batman, Robin, Batgirl and the Batmobile from Batman ’66. He took it from there and you see the result above, sans some final touches. The Joker couldn’t have done any better. You’re right about it looking like a still from an animated show. 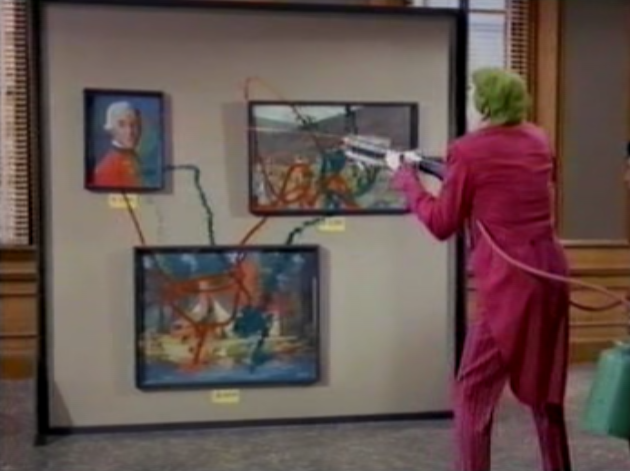 That’s what led me to this page from a “Batman ’66” Google search. That would be fun if they did a real animated mini series like this. They could probably even get Adam West to voice Bruce/Batman, as he is already doing animation voice over work on Family Guy!